…specializes in guided private land big game archery and rifle hunts for elk, pronghorn antelope and whitetail deer. 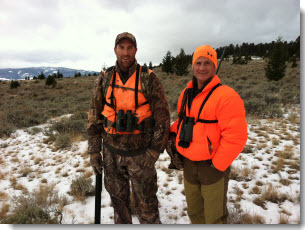 The majority of our hunts take place in south western Montana. We book hunters in proportion to the size of our leases and the amount of game in the area to maximize a hunter’s opportunity. At Walker Outfitting we strive for the quality of the hunt and overall experience over numbers. Regardless of your hunting preferences from elusive whitetails to stalking antelope in the open range or the thrill of a bugling elk – we have a hunt for you! If you have any questions regarding our hunts or want to book a Montana hunting trip, please contact us.